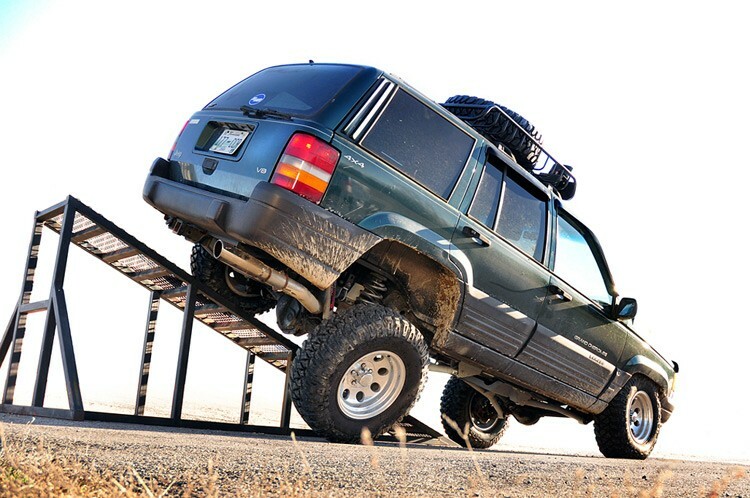 Boasting some impressive features, the ZJ Longarm Kit is a comprehensive package including everything needed for a great suspension lift while maintaining the vehicle's crucial center of gravity. 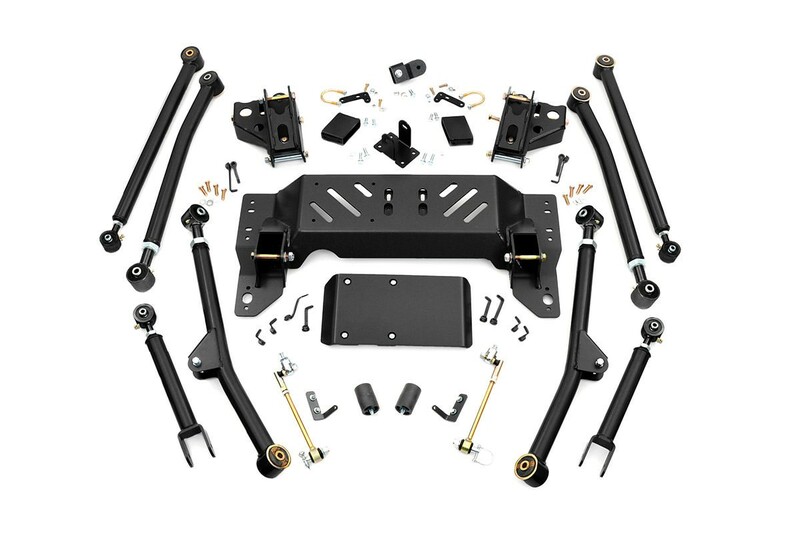 The kit includes adjustable high-clearance X-Flex upper and lower control arms with Clevite bushings, featuring X-Flex joints. 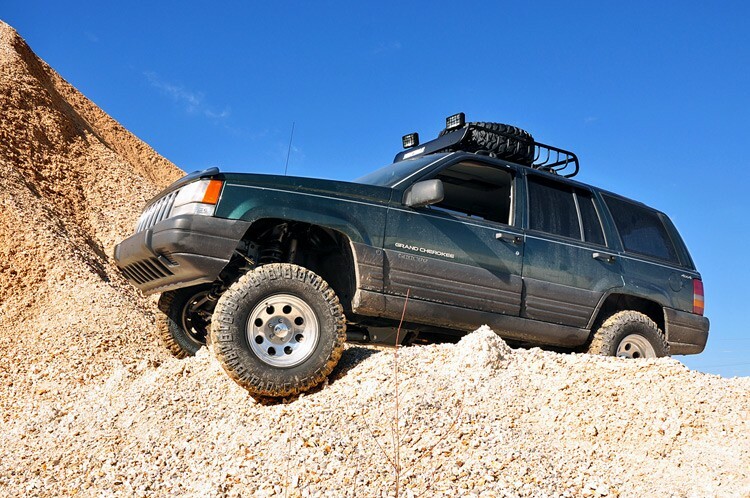 This lift kit features high-clearance components with a front y-link and rear 4-link control arm design. This promotes extreme axle flex while keeping pinion angles optimized. Transfer case skid plate will NOT fit models equipped with 249 transfer case. Models equipped with a CV style front driveshaft may result in driveshaft vibration. If this occurs, replacing the driveshaft, axle yoke and / or transfer case yoke will need to be performed to rid the vehicle of driveline vibration.